Professor Troy has worked as an engineer in the private sector and in State and local government, as a planner in NSW and as senior administrator in the Commonwealth. Has conducted reviews of planning and planning education, housing and urban development. Served on State and Federal Government agencies including the South Australian Land Commission. Was Deputy Secretary of the Department of Urban and Regional Development. Consultant to UNESCO on urban development and administration and to OECD on urban development and environmental issues. l966-2000 various positions including professor and head of Urban Research Program, RSSS, ANU. 2000-01 Professor - Centre for Resource and Environmental Studies, ANU. 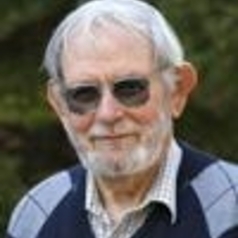 Academic Convenor State of Australian Cities Conferences in 2003 and 2005, patron 2007. Numerous public appointments including: Deputy Chairman, Australian Housing Corporation, 1984-1992 Member, Australian Housing Council, 1995 Member, Board of Inquiry into the Administration of Leasehold in the Australian Capital Territory, 2003-2006 Member ACT Planning and Land Council.